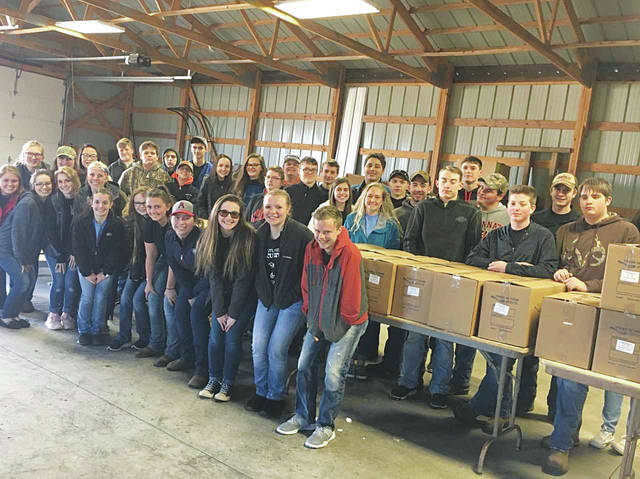 On March 15, the West Liberty-Salem FFA chapter alongside Triad, Graham and Urbana FFA chapters packaged meals at Triad High School for our second year of Meals of Hope. The West Liberty-Salem chapter had 38 members attend the event and box the meals. The chapters packed 60,000 meals for Champaign and Logan county food pantries. At the conclusion of the event, the West Liberty-Salem FFA chapter delivered 95 boxes full of meals. The members did a great job packing and working with the other chapters. If you know of an organization that could benefit from this initiative next year please contact Mrs. Trista Havens at thavens@wlstigers.org.